Turning on the Tide (Bella) opens by getting right to the point as we get a glimpse into the mind of a killer. Whether or not the perpetrator is sane remains to be seen. The identity of this mad person is not revealed, not at first. Slowly, the story unfolds to include a name, a face and a purpose, albeit a very misguided one. Enough of the killer’s mind and single-mindedness is exposed, however, to send shivers up and down the spine. As the first chapter ends, the killer remains anonymous and, as the second chapter begins, the story shifts to the main characters, Del and Lola. Del loves Lola. Then Del’s ex, Janet, shows up and uncertainty rears its ugly head. Lola loves Del, but because of the abuse she’s had to endure in past relationships, she has trouble showing it. When Janet shows up, doubt fueled by jealousy enters the room right behind her to overwhelm Lola. 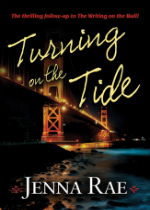 San Francisco Police Detective Del Mason and her lover, Lola Bannon, met in Writing on the Wall, and the story continues in Turning on the Tide, a landmine-filled story of relationships and people searching for salvation, mostly in all the wrong places. When Janet arrives on Del’s doorstep, Lola struggles through the encounter until Del arrives home to come to her rescue. The encounter forces Lola to come to grips with her doubts, fears and her lack of social skills with strangers. Once past the encounter with Janet, and in an effort to prove to herself that she can be outgoing and can meet new people, Lola accompanies her friend Marco on an outing to a “meetup” at the San Francisco marina. It all goes poorly for Lola, reinforcing the negative talk in her head. 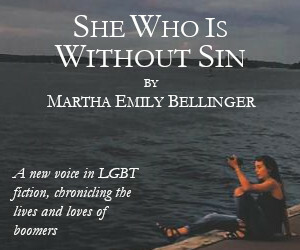 Then a woman she’s spied on a boat appears beside her as if conjured by Lola’s insecurity. Her name, the woman announces, is Sterling. She’s a bit more “in your face” than Lola is comfortable with but there is something about Sterling that Lola is intrigued by, even attracted to; however, in the end, she decides she’s a bit too uncomfortable with Sterling’s pleas to become friends. She’s also uncomfortable with the offer of future encounters, so she gives Sterling’s business card to Marco to eliminate temptation to reconnect with the outgoing woman. The turmoil, founded in Del and Lola’s individual personal issues, continues. Both women are in need of a good therapist, it seems. Del is in denial about a lot of things, especially about her relationship with Janet. It’s uncertain whether the relationship between Lola and Del will survive. But between Del’s frustration with how to be Lola’s friend and lover, what to do about her still existing feelings for Janet, and how to find a long list of women-gone-missing, Del had better figure it all out, or more lives may be at stake than she could ever imagine. 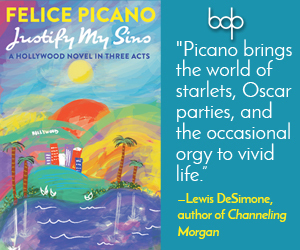 Between Del getting shot, having Janet back in her life, her partner Tom Phan riding her, and her relationship with Lola falling apart, what else could go wrong. Oh, but there’s more—much more—and if it’s not sorted out quickly, there’s no telling who will fall under the killer’s evil influence next. This romance-thriller will keep the reader busy trying to puzzle out who the killer is throughout the story. Jenna Rae skillfully hides the identity of her serial killer, leaving a trail of tidbits like breadcrumbs to be followed, forcing the reader to look down for individual crumbs rather than out to the horizon of possibilities. As part of this story, Rae also reveals the fascinating evolution of the two main characters. Turning on the Tide is the story of the human condition gone painfully wrong. Some people manage to find the path and right themselves again; however, some have strayed—or been pushed—so far off the road that they will never manage to find their way back. This complex tale will send shudders through the reader at each turn and make the heart ache for Del and Lola.